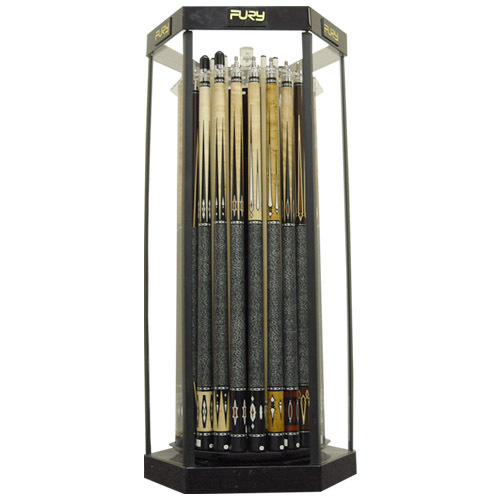 This rotating display case holds 24 cues and shafts. The Plexiglas exterior spins independently of the internal spinner for easy viewing at all angles. Dim. 36" high x17" diameter.